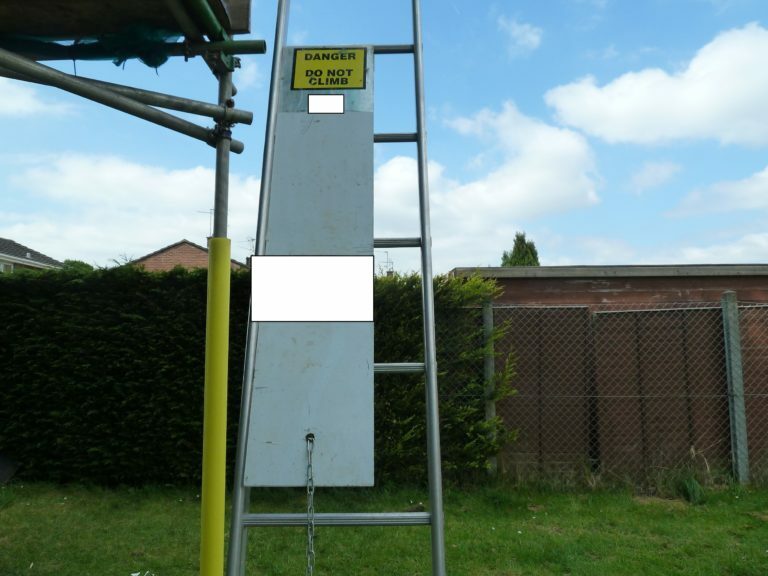 Westdale Services Limited has today been sentenced after a 12-year-old boy slipped off a scaffold ladder, falling approximately 10 metres. Cardiff Magistrates’ Court heard how, on 6 May 2017, two boys were able to climb the rungs of a ladder within scaffolding erected by Westdale Services Limited at Southville Flats, St David’s Road, Cwmbran, by placing their feet either side of a ladder guard that did not cover the rungs of the ladder. One boy climbed to the top platform of the scaffold and climbed the uppermost ladder to a height of approximately 10 metres. The ladder slipped, causing the boy to lose his balance and fall to the ground, causing life-changing injuries requiring multiple operations. The boy now has no bladder or bowel control and is only able to walk short distances due to being unstable on his feet. Speaking after the hearing, HSE inspector Michael Batt commented: “The death or injury of a child is particularly tragic and a lot of thought must go into securing construction sites. Children do not perceive danger as adults do. The potential for unauthorised access to construction sites must be carefully risk assessed and effective controls put in place.